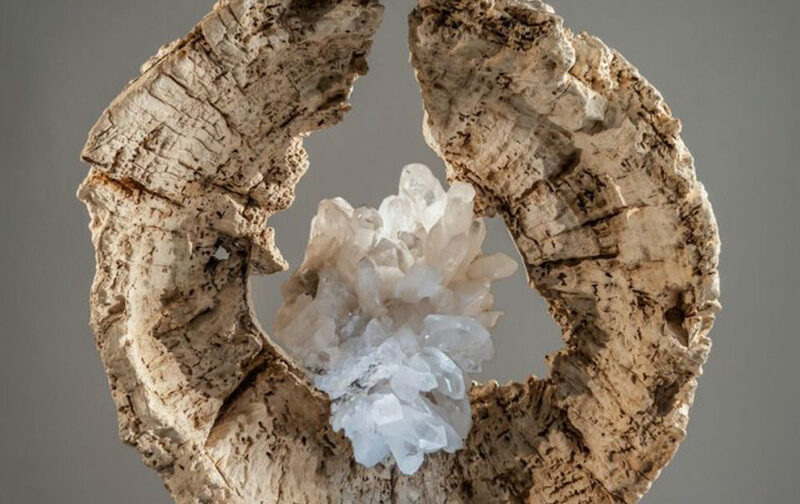 On Thursday, November 30th, I went to the home and Art Studio of Dorit Schwartz, a reknown sculptor working with organic elements such as rare crystals, raw stone & reclaimed wood to create art that awakens the spirit. Dorit received me with open arms, in her living room with coffee and light brunch. 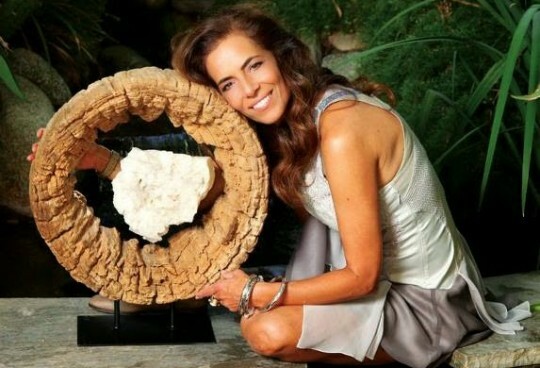 Based in Las Vegas, I wanted to interview Dorit to get to know this woman of undeniable talent and at the same time to make you discover Dorit Schwartz’s sublime sculptures. French Quarter Magazine: When was that moment when you believed, knew you would be an artist for life? Dorit Schwartz: At a very young age, I wanted to be an artist. Loving nature and elements of the outdoors always fascinated me and always thought how to bring the outdoors, in to our home bringing harmony to the environment around me. French Quarter Magazine: If you weren’t an artist, what profession would you have pursued? Dorit Schwartz: I would be a florist designer due to my passion for nature. French Quarter Magazine: How and when did you adopt your particular style and medium? Dorit Schwartz: My journey with The Light Within of wood and crystals started 7 years ago. This graceful expression of the wood reflects a central thematic of my life, and for many others in the modern world, the desire to achieve harmony, but also within the spiritual self. 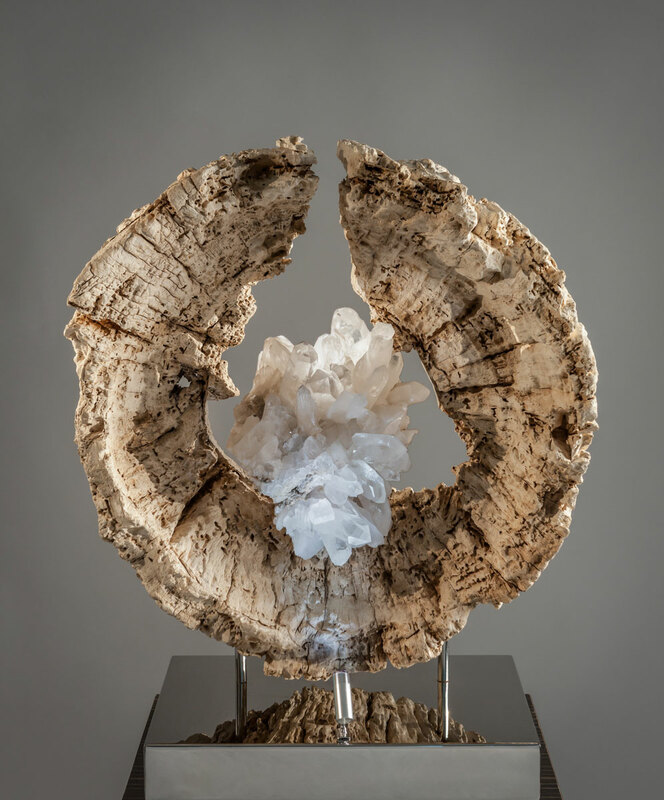 The sculptures are composed of crystals and wood, to represent balance and harmony in nature. I sublime the sculptures lyrically to express spiritual enhancement and power, particularly that of the natural world. French Quarter Magazine: How would you describe your philosophy and mission as an artist? Dorit Schwartz: Art is a bridge to the human spirit. My sculptural work exists to evoke feelings, to awaken people; to dive straight into the depths of human strength and fragility. My creative process represents my deep appreciation for the organic beauty found in nature. French Quarter Magazine: There are thousands of accomplished artists. What does it take to develop your particular if not unique niche in that world? 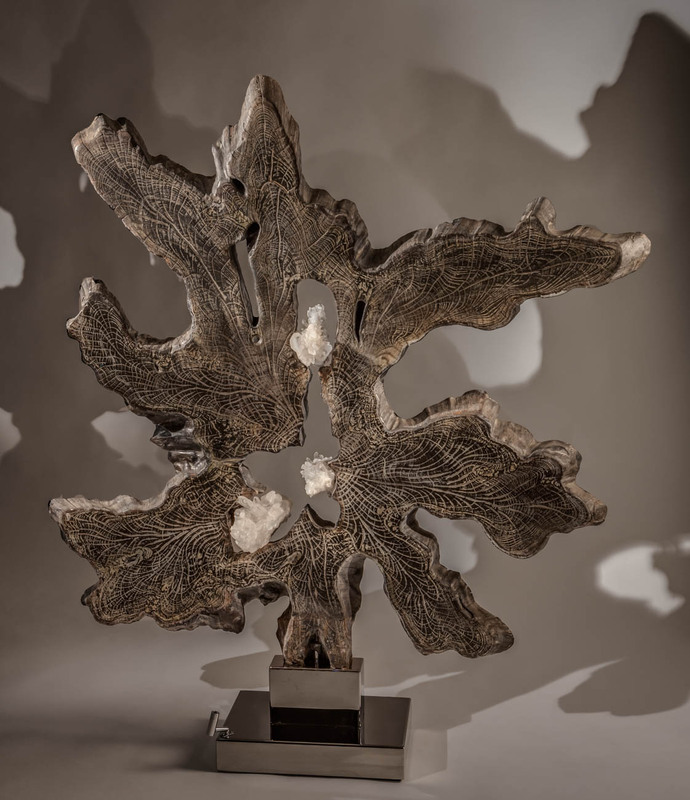 Dorit Schwartz: As a sculptor, I am drawn towards organic shapes and textures naturally occurring in the environment. The synergy between stone, various other mediums, and my artistry dictate the visual forms that ultimately emerge. French Quarter Magazine: What artists inspire your work and style? Dorit Schwartz: I try to maintain a classical paradigm, adherence to the truth of materials, as first expressed by the alternately smooth and rough marbles of the great 19th century French artist Auguste Rodin and the late 19th – early 20th century Romanian sculptor Constantin Brancusi. These elements and sensibility coalesce in my work to express something metaphysical as seen in the organic shape thats composed of organic wood, suggesting meditative and spiritual experience.